Dow Jones today announced the launch of The Wall Street Journal India Mobile application in association with Bharti Airtel.The application provides the latest international and Indian financial and business news from The Wall Street Journal and Dow Jones Newswires. 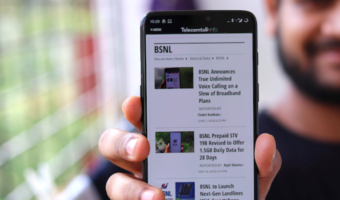 The Wall Street Journal India Mobile application is currently compatible with a large number of models of Blackberry and Nokia Smartphones and will be extended to other handsets soon. Airtel mobile customers can download The Wall Street Journal India Mobile application by texting ‘WSJ’ to 54321. 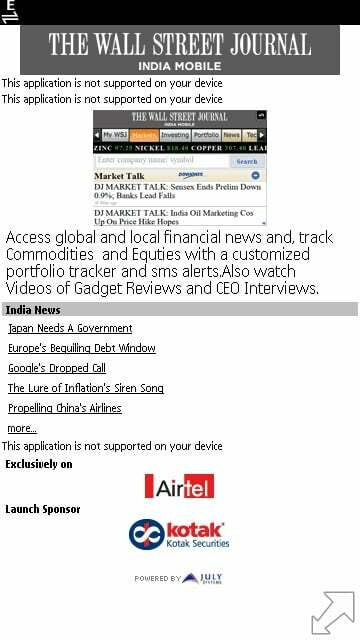 The Wall Street Journal India Mobile can be downloaded free-of-charge by Airtel pre-paid and post-paid mobile users. 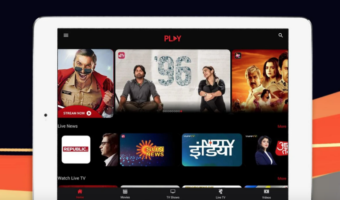 Customers will have to pay a monthly subscription fee of Rs. 99 only if they choose to access premium financial market news and data, the personalisation functionality and the portfolio tracker, which helps monitor stock portfolios as well as mutual funds and commodities investments. • Complete user-defined page personalization option. mr sanjay bafna can u tell me whether AIrtel is going to launch A-A 5p/min plan(currently present in keral) in karnataka or no?